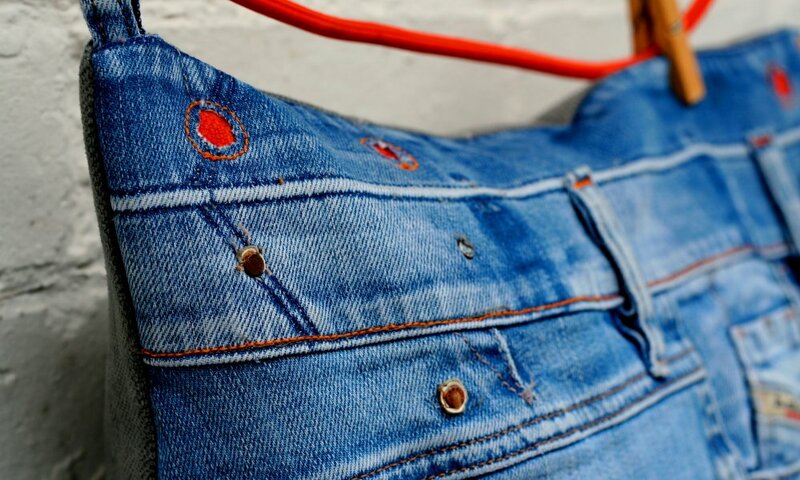 40cm square cushion in ‘Diesel’ jeans denim and re-worked orange detailing, and belt ‘hanging’ loop. 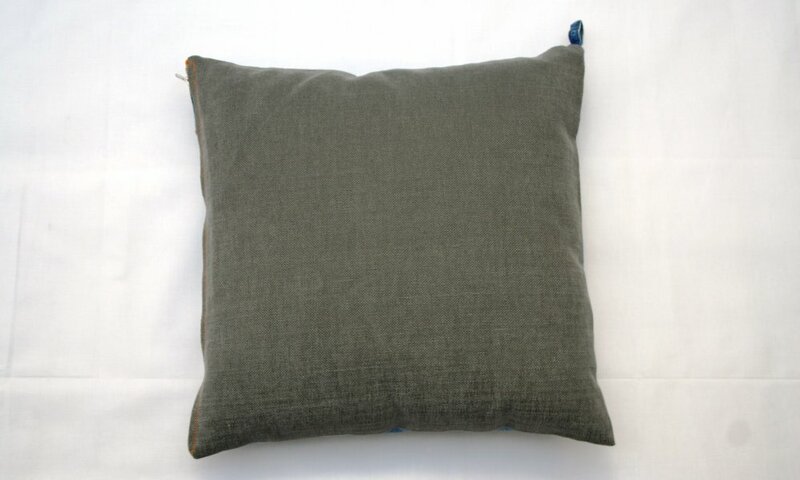 Cushion is backed in dove grey cotton to make it fully washable. 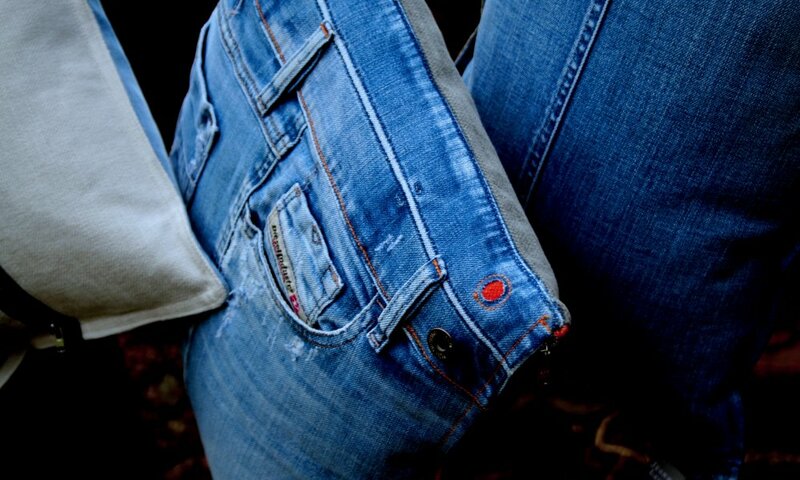 Cushion has an orange metal zip side closure, feather pad and brand label on the back pocket. 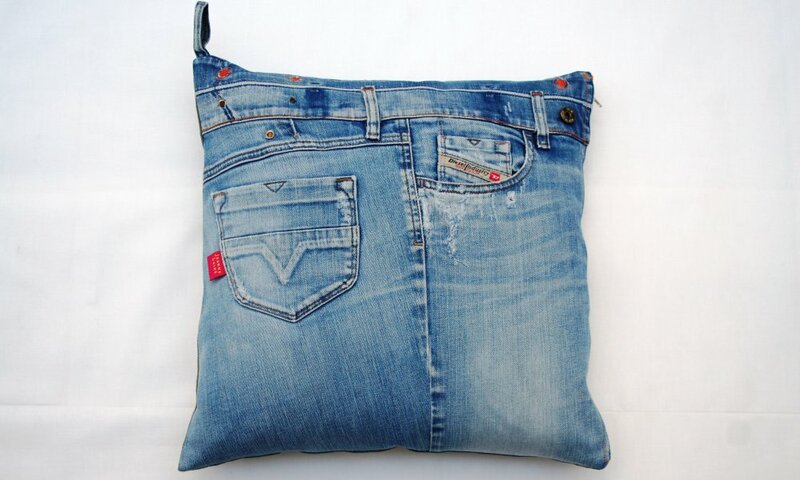 This cushion is one of a kind and is machine washable.